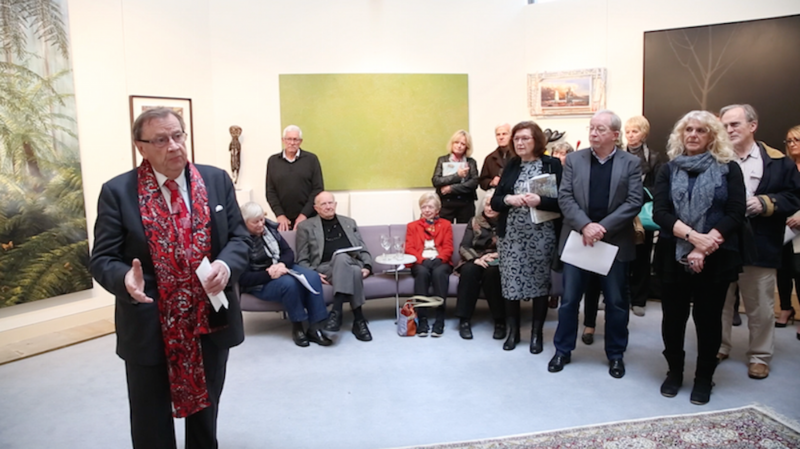 Those at the opening of our Collectors’ Exhibition 2016 on Saturday 6th August enjoyed the entertaining speech by raconteur Harold Mitchell AC. Click here to watch the video of the opening . Read his article from the Business Today section of The Age, Friday 12 August – click on the link below for the full text. “I was delighted to open an arts exhibition in Melbourne last weekend. I’ve always been comfortable in the art world after being chairman of the National Gallery and growing up around artists themselves. And as a result I’ve learned a few rules about openings: don’t get too serious, throw in a couple of jokes and try as best you can to dress like Barry Humphries, including a small colourful sarong stuffed into the breast pocket of your jacket.